Mangaluru, Aug 07, 2017 : Kavya, a ball badminton player, was found hanging in her hostel room on July 20. Her parents demand justice in the case of Kavya, since 16 days have passed still the police have not arrested the accused. 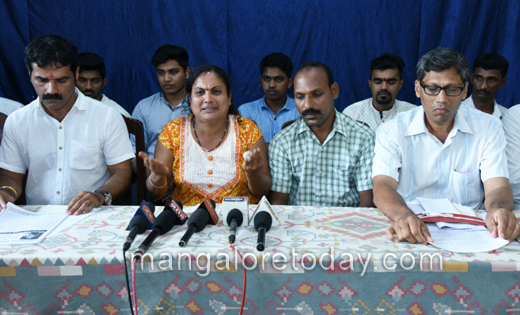 Addressing the media at Hotel Woodland’s on August 07, Kavya’s mother Baby poojary says that the accused physical training Praveen Poojary, of being behind this murder.According to the primary investigation, it was assumed that the girl was forced to take this extreme step after she turned depressed following low marks secured in her last examinations. There were no signs of depression. She could never have taken such a step to end her life she sounded well and told that she has to go for practice next morning. This is not suicide, there must be something else behind Kavya’s death. Why is the Alva institution defending the Physical Trainee Praveen. 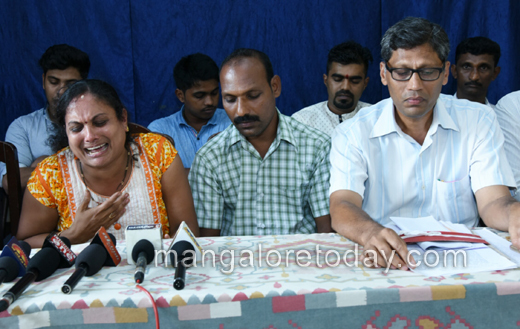 Urge police to arrest him without any delay and do us justice,says Baby Poojary. Robert Rasario social worker say that , the police are not transperant in the approach , many things are been hidden in kavya’s case. I strongly demand for meting out harsh punishment for the guilty in the case. Demand CBI investigation. Local police seem to have kept their higher ups in the dark," he added. 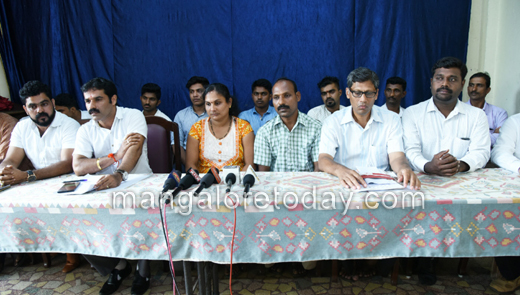 Demanding justice in Kavya’s case various organizations have decided to hold a protest march on August 09, Wednesday, her parents request many take part in the protest held near the DC Office. Advocate Dinakar Shetty, Anil Das, Raghuveer Suterpete and others were present. Why is the Alva’s institution taking stand in this case ? Why are they defending the institution?